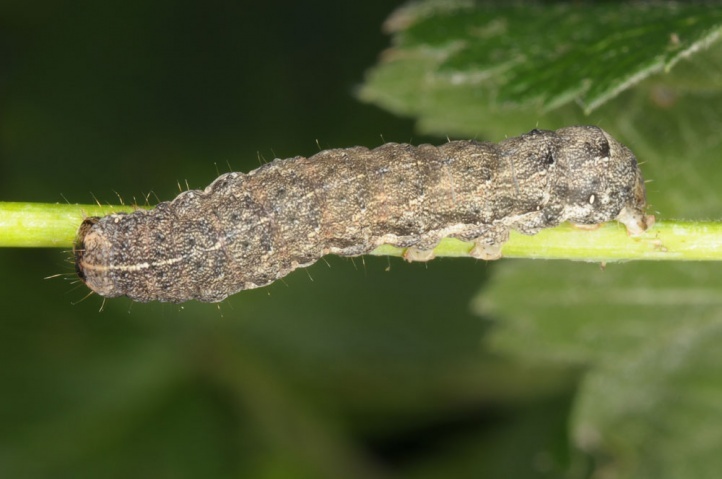 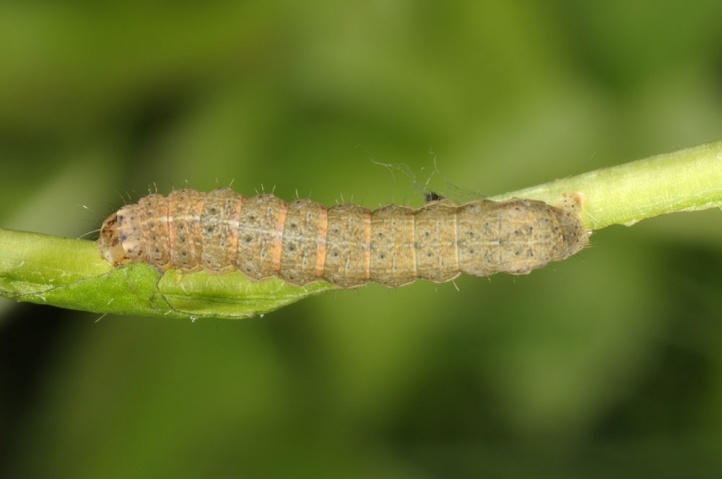 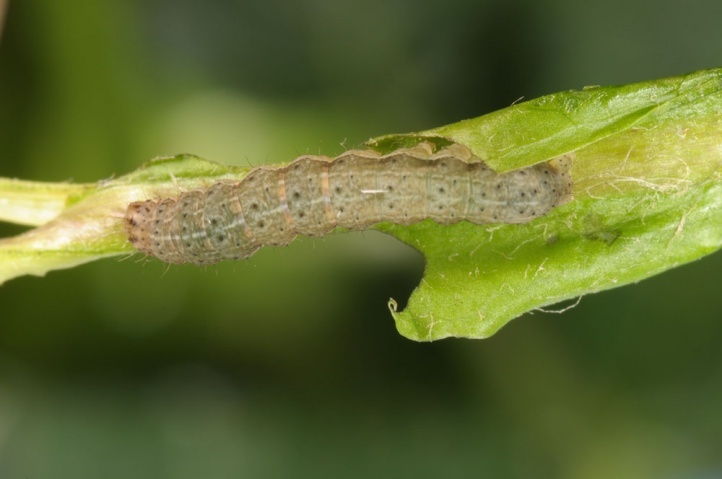 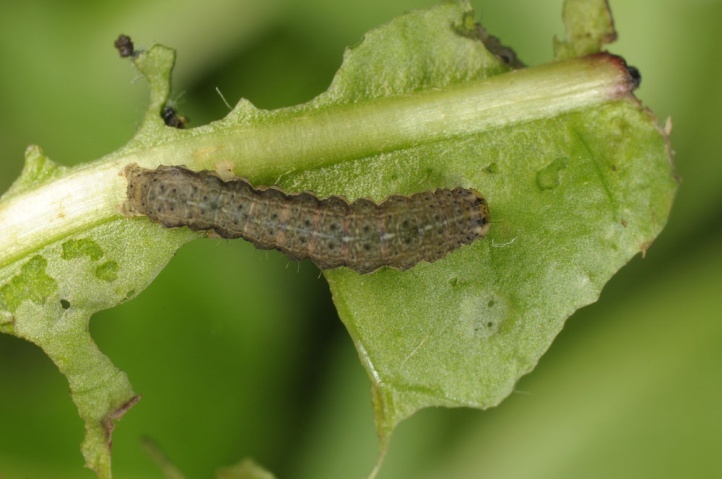 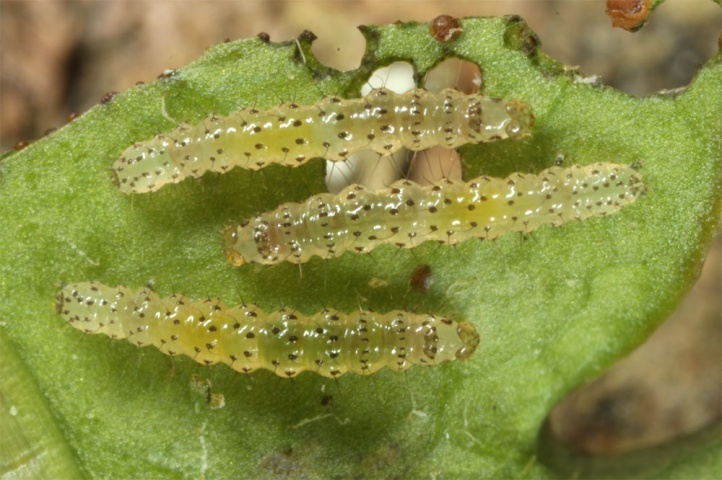 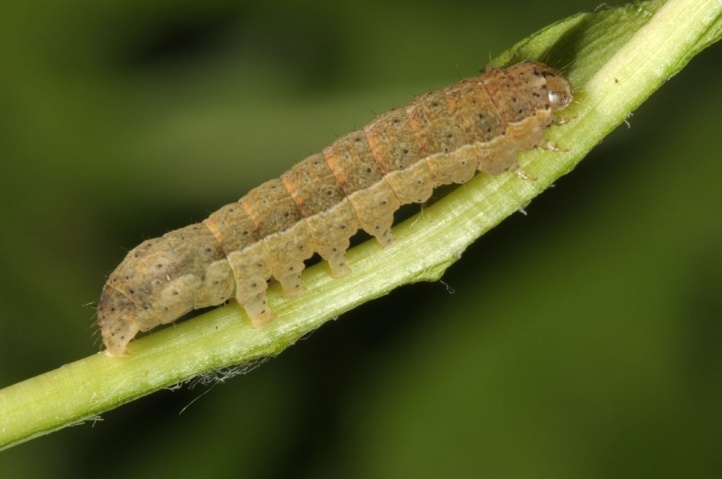 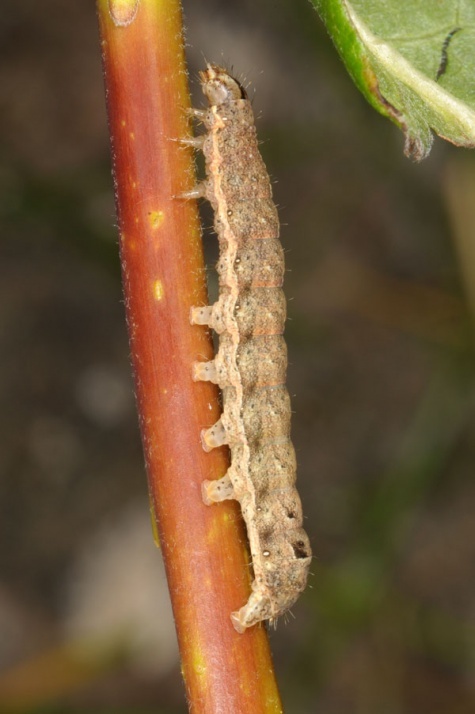 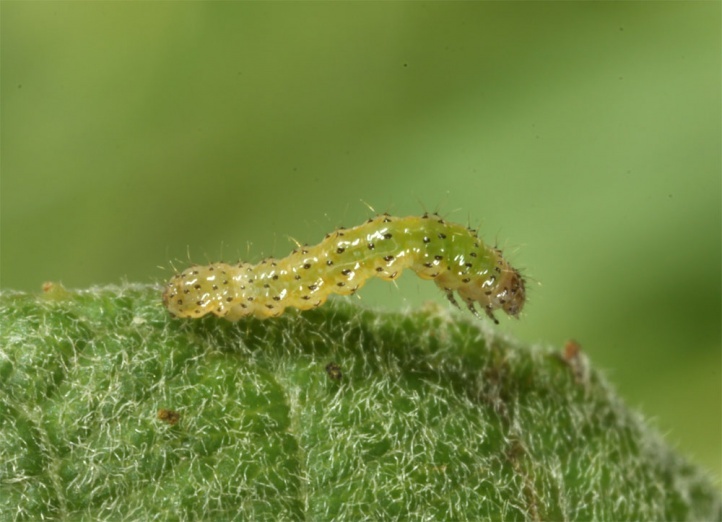 The caterpillar lives polyphagous especially on herbs and young trees. 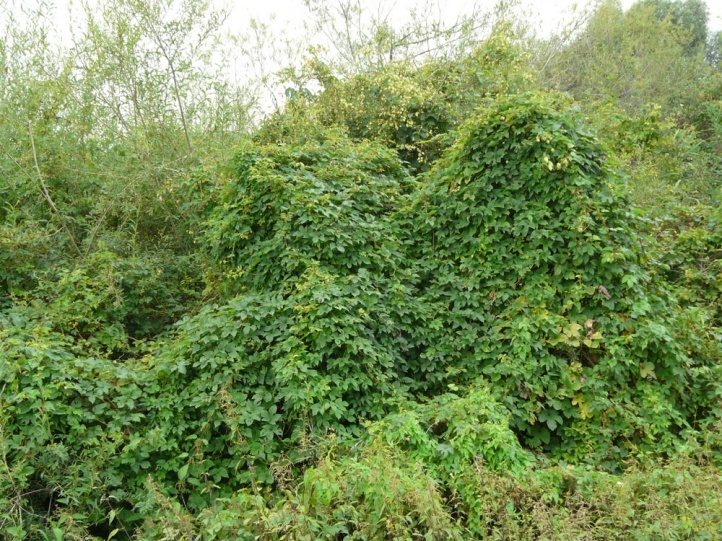 Noctua janthina inhabits grove rich habitats, particularly those in humid conditions. 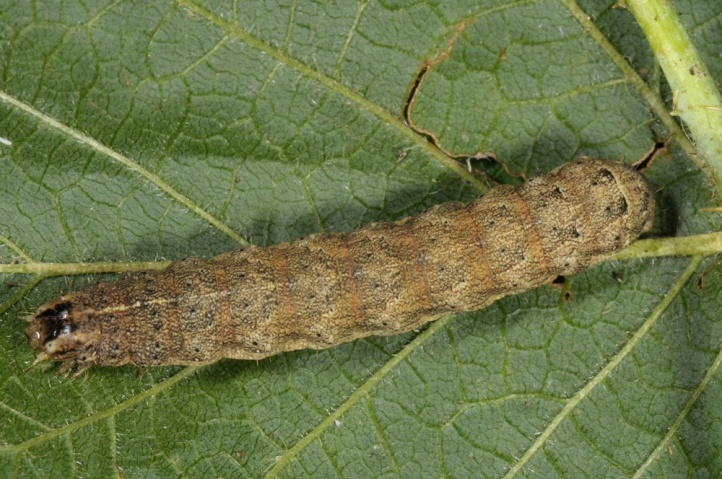 I found a moth in early September 2011 during the day in a hop thicket bordering a gray willow bush in the Upper Rhine Valley (Dettenheim). 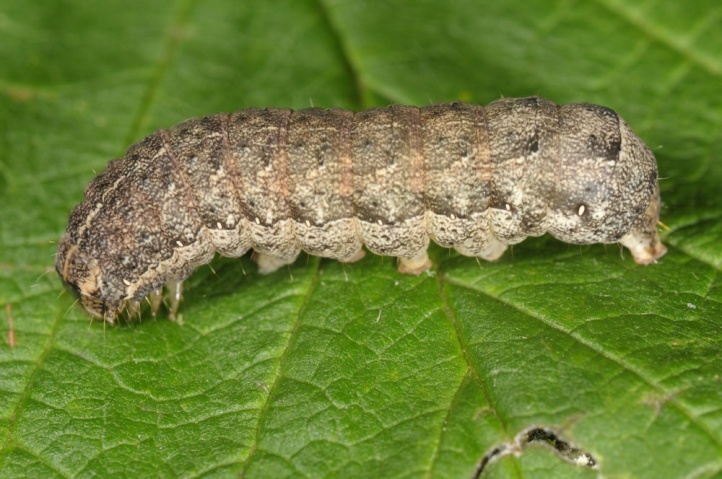 In November 2011, I found larvae in the loose Urtica edge on a grove rich stream near Schwäbisch Gmünd together with those of Xestia baja, Naenia typica and Mormo maura. 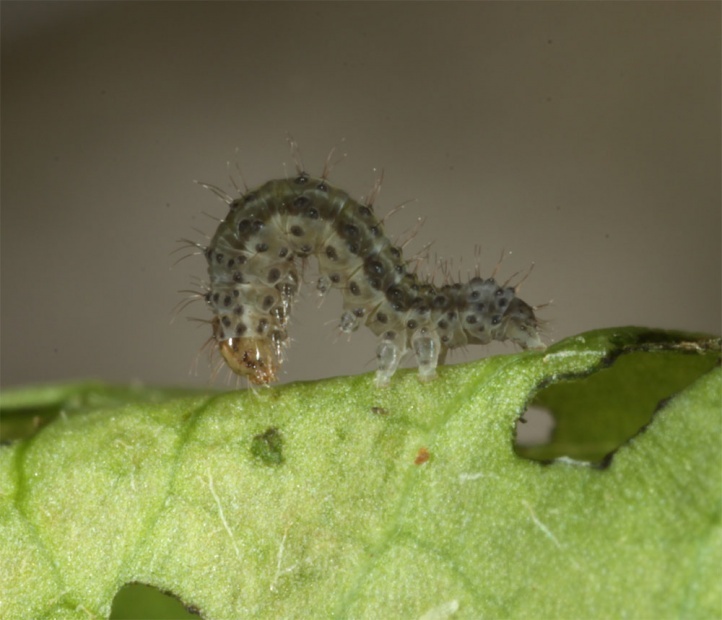 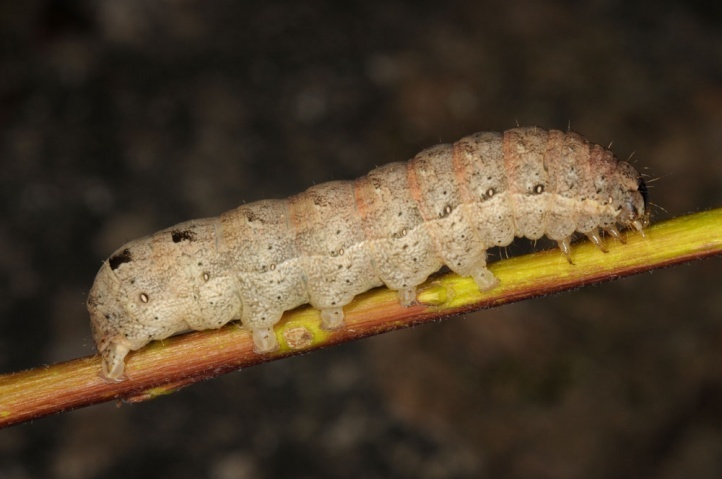 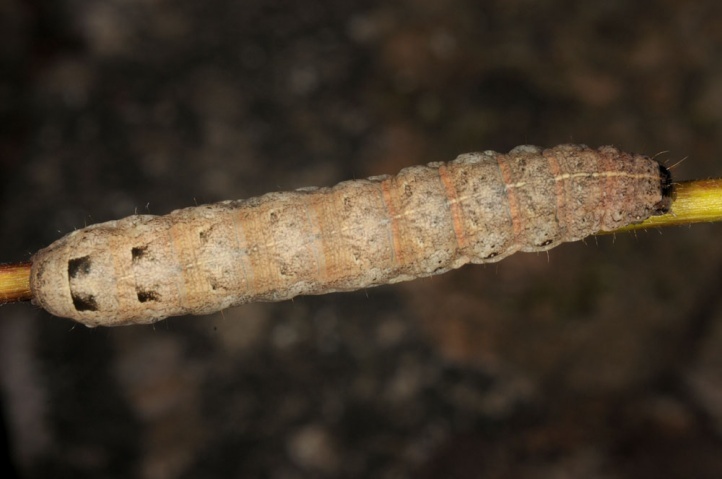 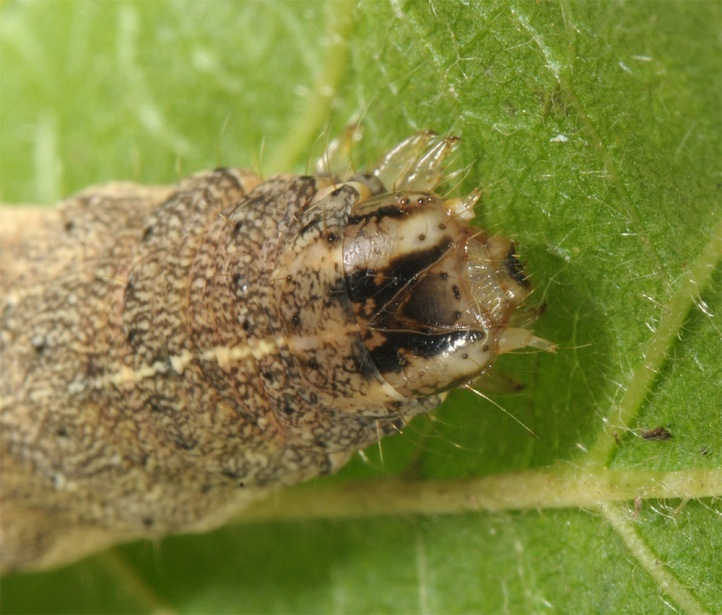 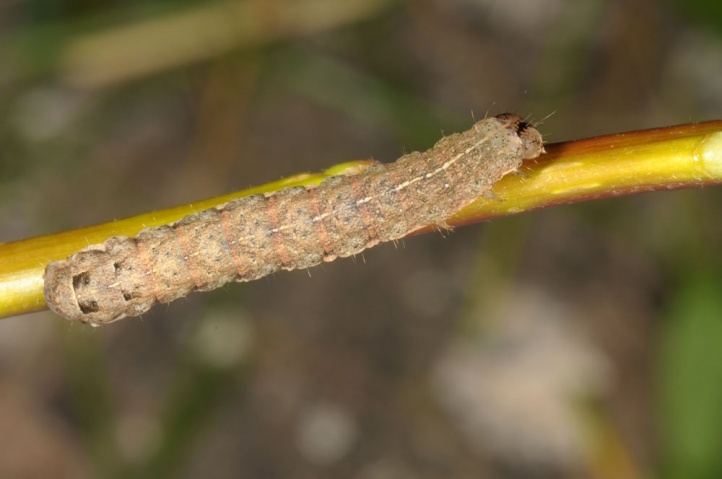 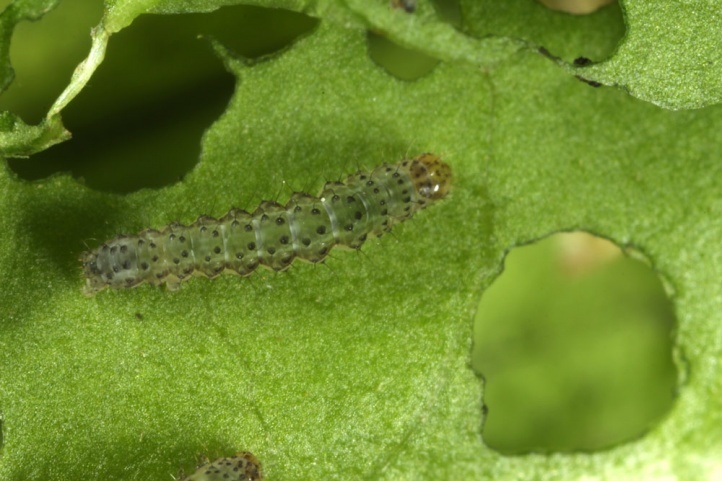 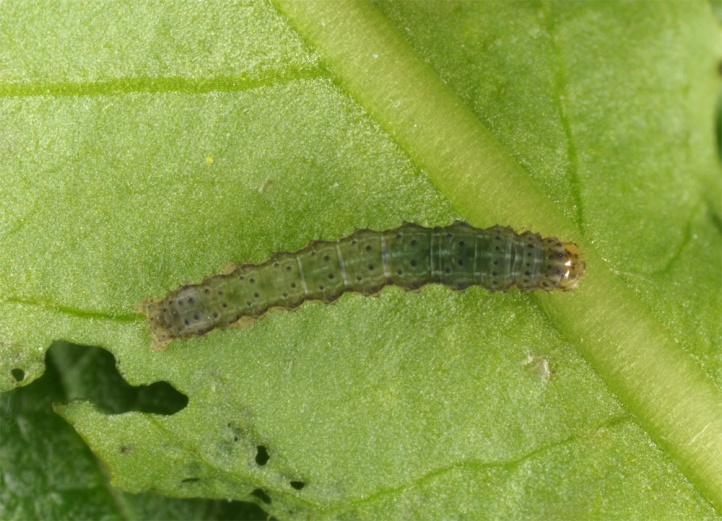 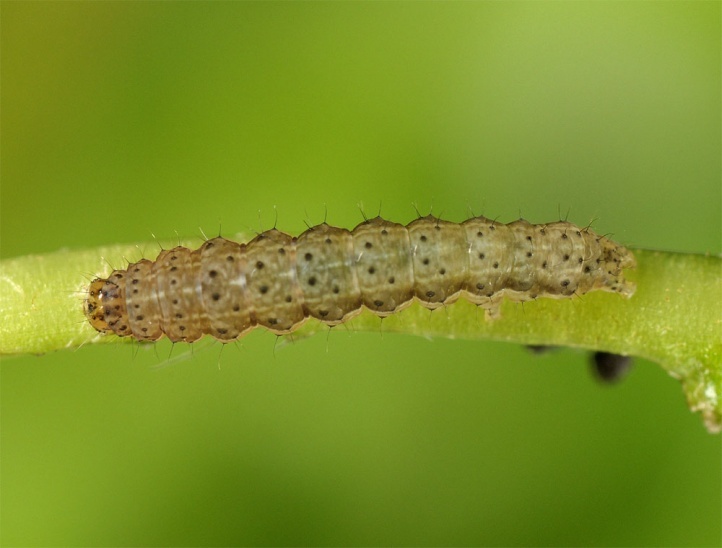 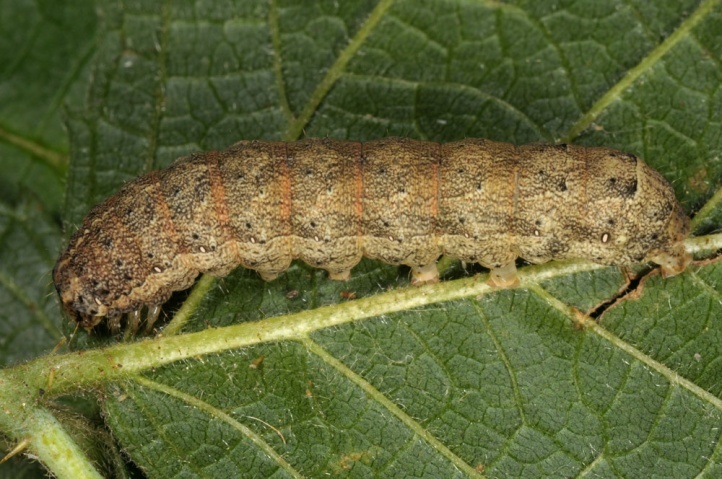 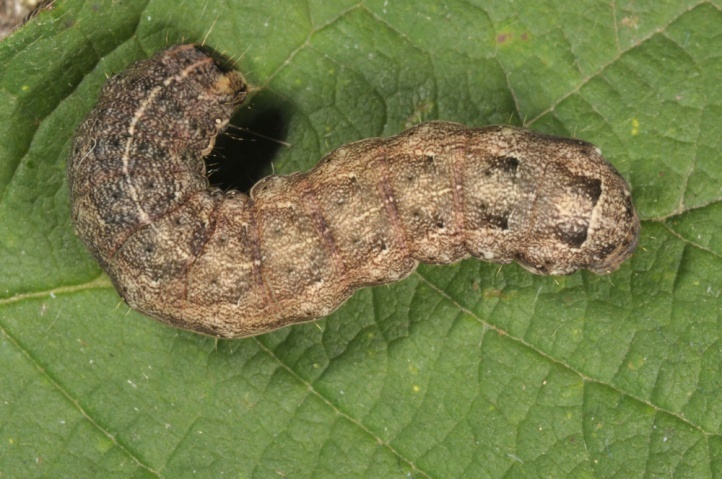 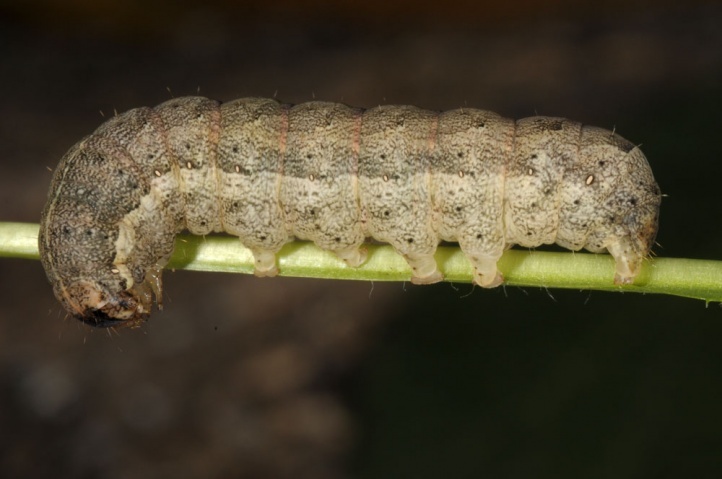 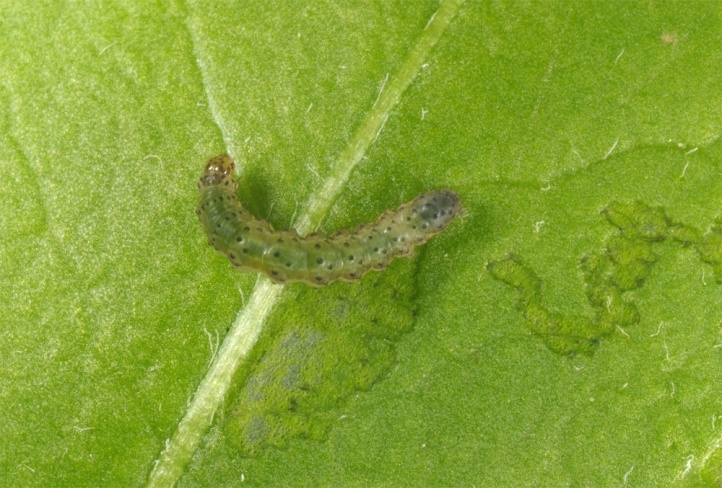 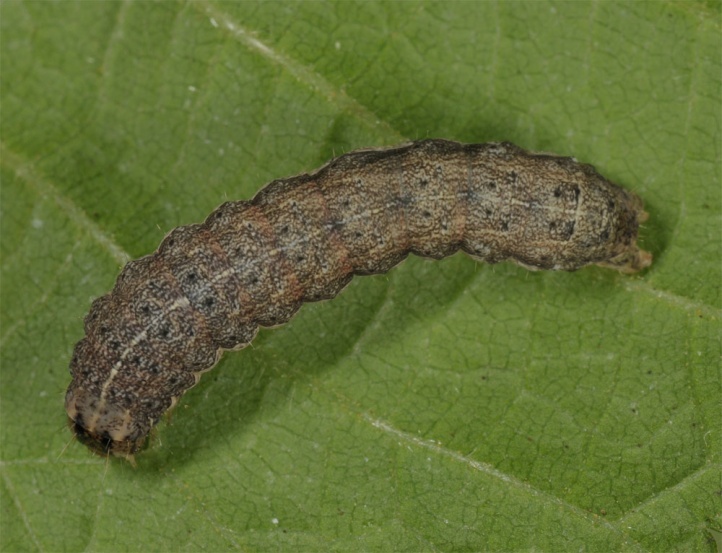 The young caterpillar is found from October. 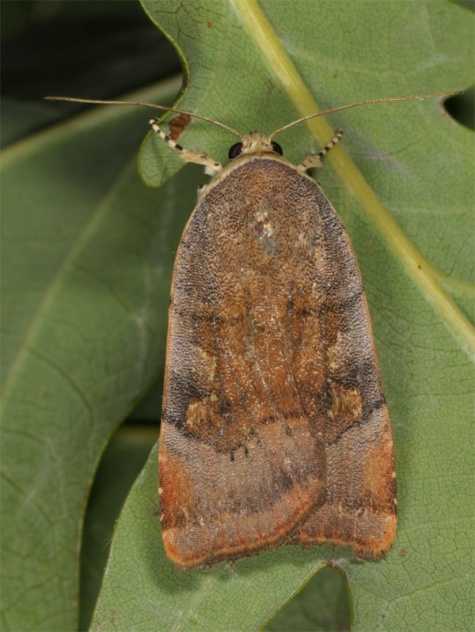 They overwinter and are mature in April/May (then purely nocturnal). 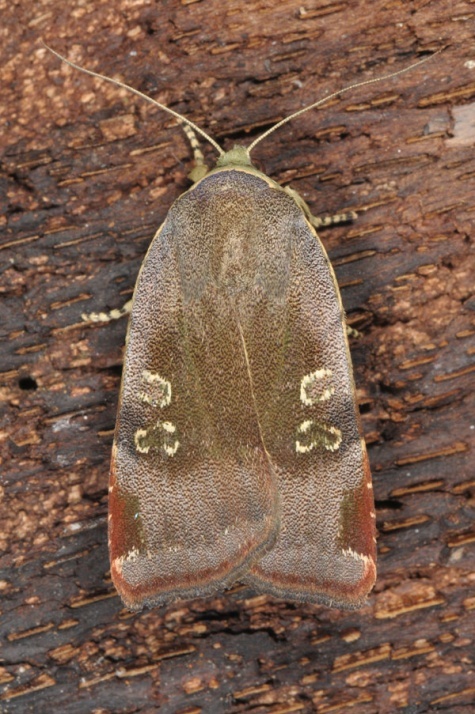 The moths fly from late June to mid-October with a focus in July/August. 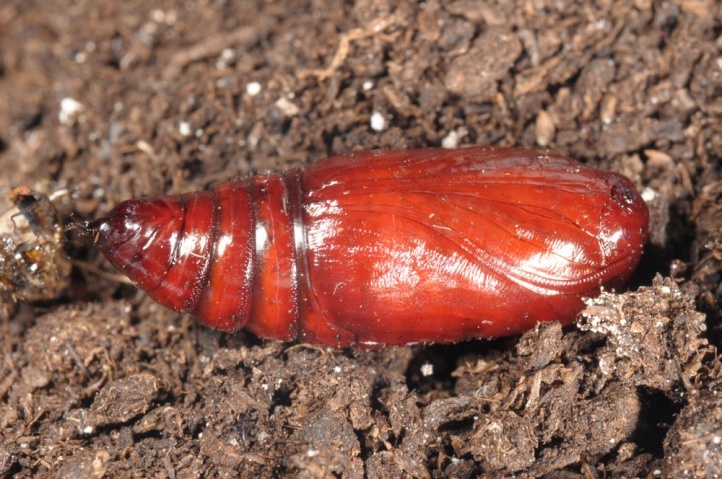 The eggs are deposited in single-layer clutches. 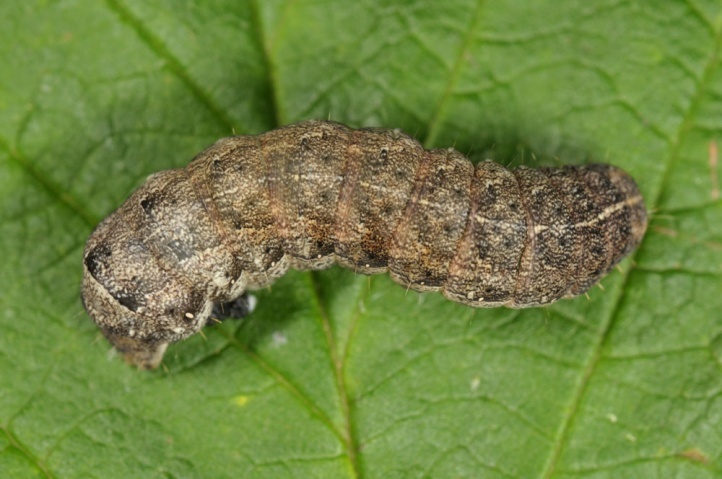 Noctua janthina occurs in parts of Europe and Western Asia (about to Iran). 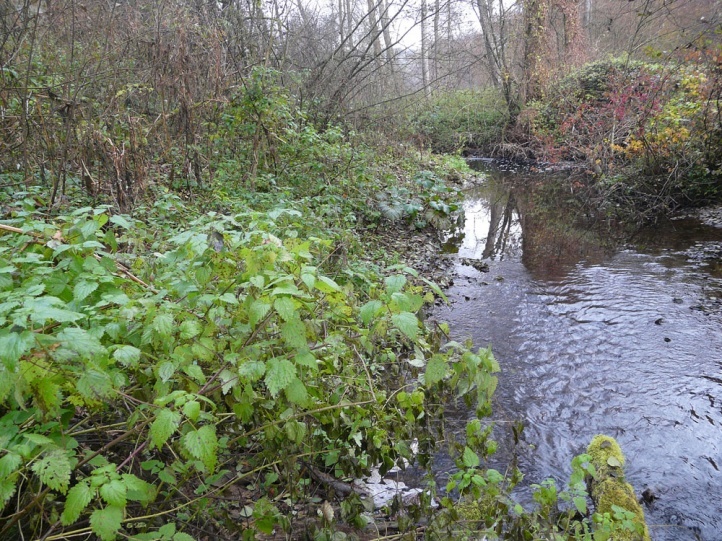 In Europe it is missing in many places in the west (e.g. 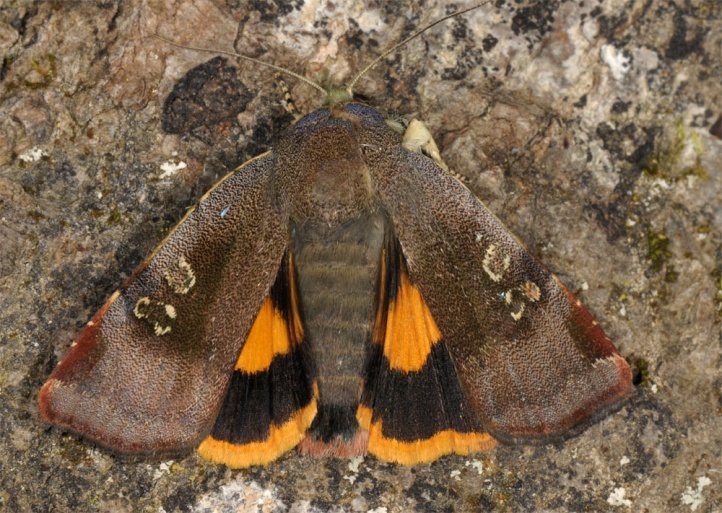 parts of Spain and France) and in the far north (Central and Northern Scandinavia). 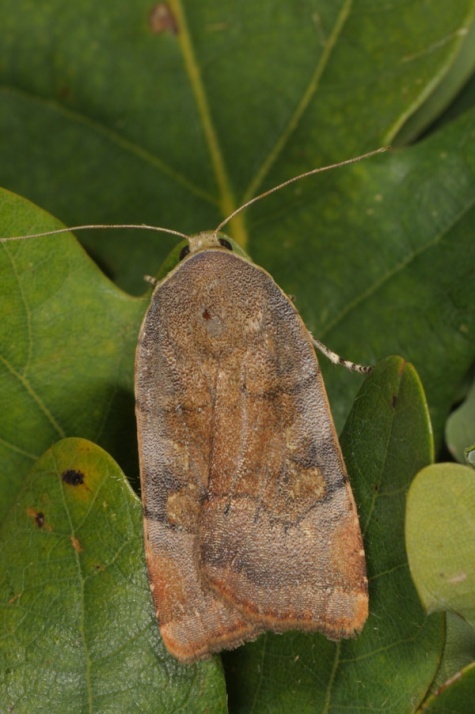 Noctua janthina is very similar to Noctua janthe. 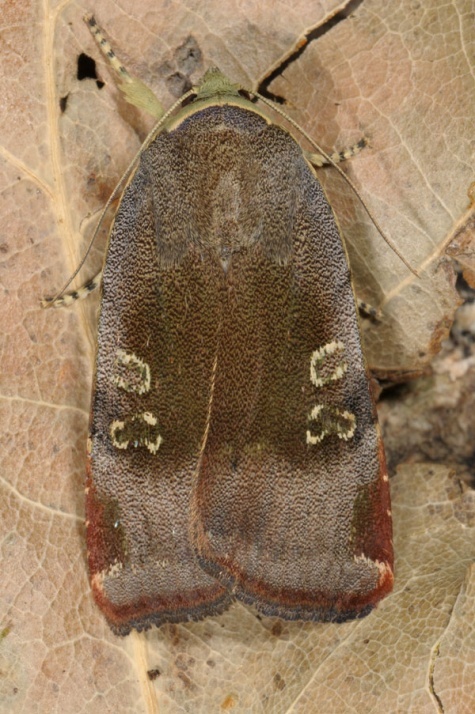 The best distinguishing marks are found on the hindwings. 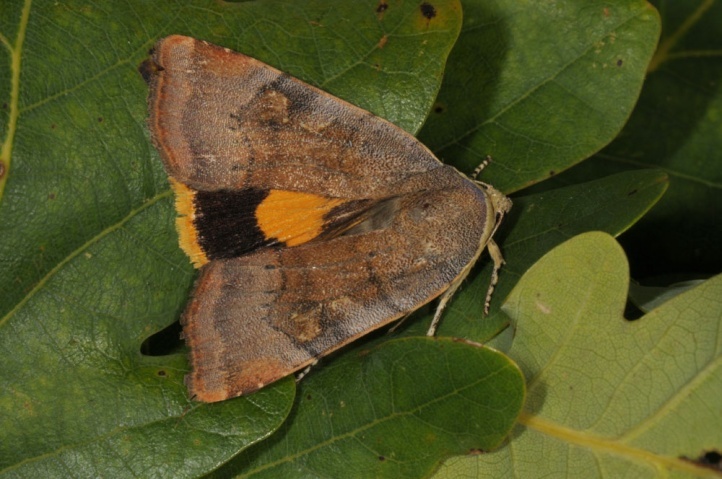 Noctua janthina has a broader black marginal stripe than janthe. 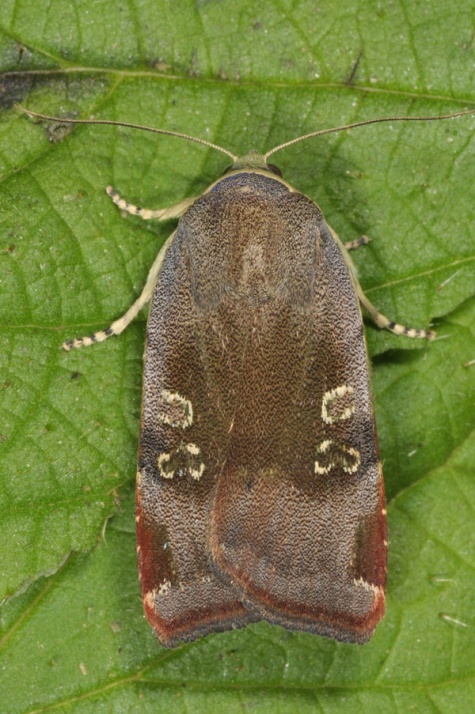 Moreover, its inner margin joins the upper wing margin angular in janthina (drawn to the interior) and more rectangular in janthe. 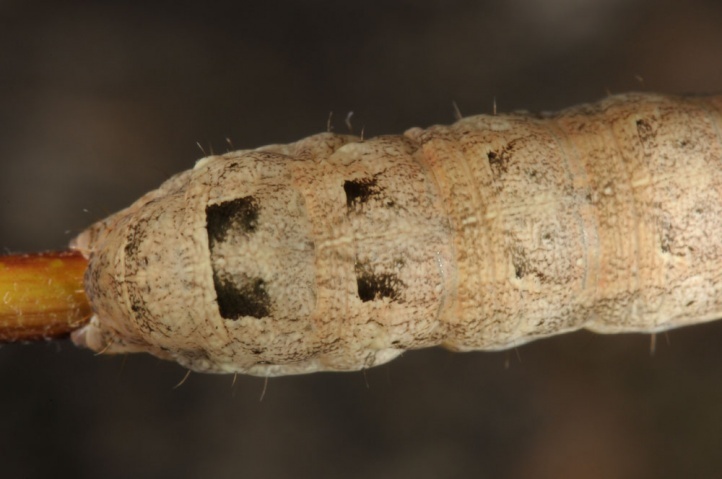 The larvae of janthina show contrary to janthe in the younger instars no larger black dots on the cranial half of the dorsal side (see photos).